Looking for a Southington Plumber to solve your plumbing problems? Discover why we are the premier Southington plumbing service! Specializing in residential and commercial installation plumbing, you can rest assured you have found trustworthy and highly rated Southington plumbers. We take pride in our customer care and maintain licensed service. While plumbing problems can be stressful, we make every client feel heard and take you step by step through plumbing repairs and installations. Why Choose Us As Your Plumber in Southington? We set the gold standard for Southington plumbing services. Simply put, our thousands of satisfied clients have created our reputation for quality workmanship, timely results, and superior customer service for plumbing repair in Southington. Our customer reviews speak for themselves. 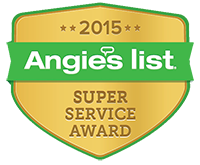 Joe the Plumber even received a 2015 Angie’s List “Super Service Award” for our dedication to getting the job done and done well. If you’re searching for an Southington plumber, give us a call today at (860) 614-7157 or easily schedule an appointment online. We will come to your home or business in Southington and surrounding areas to evaluate plumbing repairs or installations and offer our best solutions for any situation. They came when they said they would and did a great job!! I have ancient plumbing and understand how difficult it can be to work with it. Thank you for keeping us warm!